Since my previous post about me not being particularly fond of reviews a few people commented saying that a lot more bloggers now do mini reviews instead of full ones so I thought that I'd give it a shot. Here are my thoughts about some books that I've read so far this month. I found it at a discounted bookstore in April/May this year. 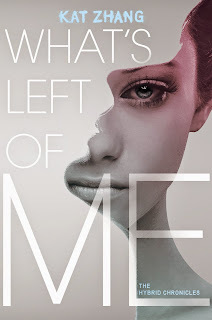 What's Left of Me is a really interesting Sci-Fi/Dystopian read in which everyone is born with two souls but by the age of 5/6 you are supposed to have settled. Those who don't settle are essentially hunted down and experimented on. It's a unique concept that I hadn't heard before but I was nervous to start this book. I didn't think I'd enjoy it much and during the first 150 pages I found myself wanting to put it down. The idea of any type of romance made me uncomfortable and it was clear to me that a romance would occur. What's Left of Me was slow and usually I can deal with this in regards to world building and setting up the plot but this was just boring. I didn't have a clue which direction the book was going to go in and honestly the only thing that kept me reading was wanting to find out what happened at the end. The last portion of the book sped up and it gradually got more and more interesting. I found myself yelling at the characters to not be so stupid and honestly rooting for a few of them. I think if you are willing to get past the turkey to find the stuffing then I think you should give this book a chance. I borrowed it from a friend when I was staying at her house and didn't have anything to read. Fat Chance was completely different to how I expected it to be. It reminded me in some ways of the books that I used to read when I was around the age of 12/13 and it was great to get back in touch with that side of my childhood. The main plot of this book is that Mattie is struggling over her summer break: her friend is off on holiday and she's stuck in her house with her little sister and her newly re-married mother (along with step-father and step-brother). A new family moves into town and she goes to their house to introduce herself. A lot of things end up spiralling out of control from then on with issues coming to light such as: obsessive behaviour, eating disorders, depression and bullying. 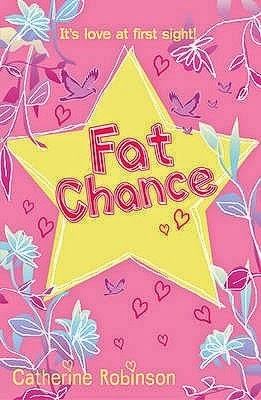 For a pre-teen book Fat Chance touches on a lot of heavy issues and I found myself really enjoying it. Perhaps it's not for the more mature readers but if you're willing to try out a younger read then you can't go wrong with this. I purchased this book from Waterstones. 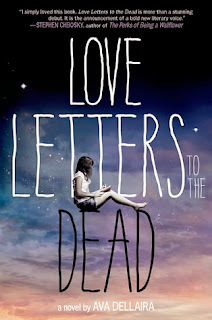 Love Letters to the Dead is a contemporary story about a freshman in high school who gets assigned a project to write a letter to an influential dead person. Laurel, the MC, ends up continuing on this project past the due date and continues writing letters to the likes of Kurt Cobain, Judy Garland, Amy Winehouse and other dead celebrities/public figures who have impacted her life. Through the course of these letters we, as readers, really get to know Laurel and how she is learning to cope with the death of her sister, May. This is such a beautiful book that moved me to tears and left me thinking about it even days after finishing. If you are a lover of contemporary - or even if you're not so keen on the genre - you NEED to read this book. It reminded me of a better version of my favourite book, Ketchup Clouds. 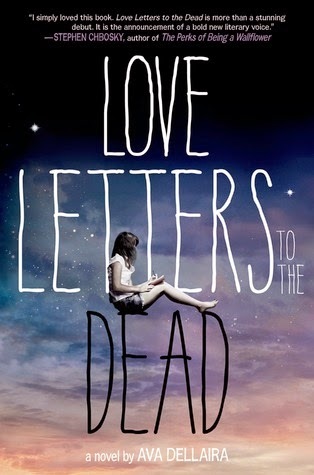 Love Letters to the Dead has some pretty deep topics that I think need to be included in more YA lit. This book talks about these issues in such a beautiful and classy way that doesn't diminish the impact these topics have but rather emphasises that they are something that could effect people we know and hopefully reminds us to be a bit more mindful of people. Includes topics such as: Suicide, Divorce, Underage drinking, Depression, Sexual Abuse/Assault and Domestic Violence. Despite absolutely loving this book, it took me a while to read. I think I read the first 300 pages or so over 3 days and then I finished the last 200 in one night (I put this down to reading it straight after finishing Crown of Midnight and not taking my time to process the ending of that book). 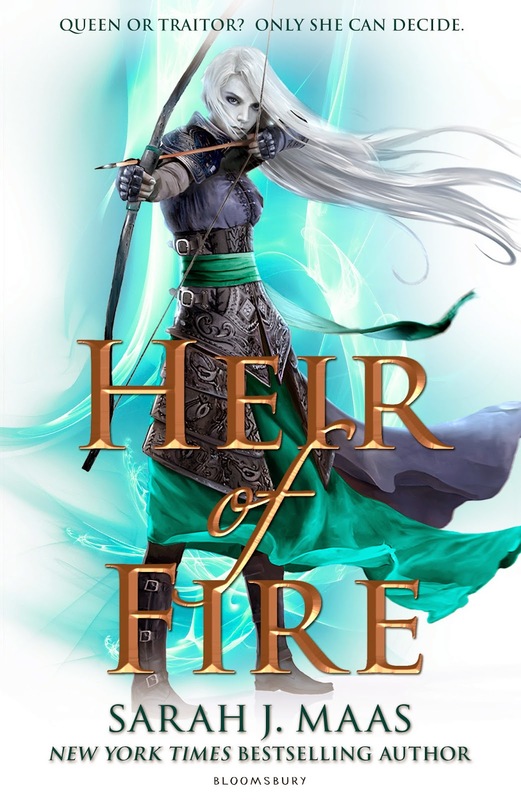 Heir of Fire, in fact the whole Throne of Glass series so far, is INCREDIBLE. The main character, Celeana is a badass assassin and in Heir of Fire she meets another badass warrior and together they do badass things. Scratch that - EVERYONE in Heir of Fire in some way is a complete BADASS. Overall it's an amazing action-packed book and if you are a lover of fantasy and haven't read this book yet then I'm just gonna say that YOU ARE MISSING OUT. GET ON THIS BOOK. GET ON THIS SERIES. LOVE IT. LOVE IT AND LET IT TEAR YOUR HEART OUT, BECAUSE THAT'S WHAT IT DOES.